I look forward to date night every week. 🤗Just the fact that there’s something good coming in the future makes us happier in the present. What is date night with God? An occasion when you have been in a relationship, you get together in the evening to enjoy being together: Keep your relationship with God ablaze 🔥with regular date nights! 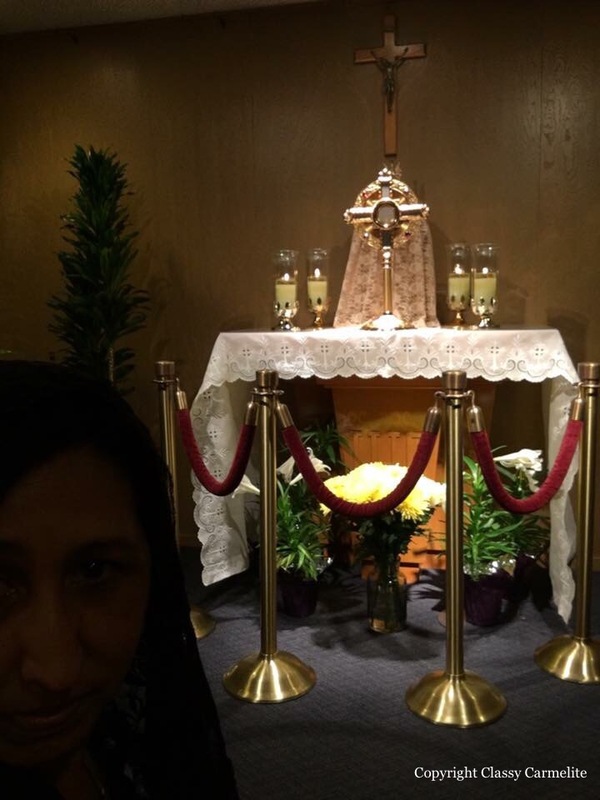 Choosing a Place – We all know God is everywhere, a favorite date night place of mine is the adoration chapel at my parish, where I can be “with Him” also outside with nature, I have some great conversations with Him in all places. Expressing Feelings – God is the best listener “ever”! You can talk (pray) for hours about anything (nothing is too small, sometimes its the small stuff we need to deal with in order to get through the big stuff) or nothing… just be with Him. ❤️ He will NEVER get bored or complain when you talk too much. 🤣 Lol… Sound familiar? Saying Good Night with ACTS – A helpful short way for me as I respond to God is the ACTS prayers: adoration, confession, thanksgiving, and supplication. I learned these from a homily given by Fr. Frank Epperson, St. Eugene’s Cathedral. Adoration: Telling God how great he is, why He’s so great (merciful, kind, loving and so on), and how much we love him for it. Confession: Acknowledging to God any known sin that is displeasing to him so that we can come to him completely surrendered and cleansed. Thanksgiving: Thanking God for his grace and forgiveness in our daily lives, and thanking him for all the things he’s done for us and given to us, and will do for us in the future. Supplication: Asking God for things that we want. I know… 🤗 we can ask for stuff now. Once our heart and mind are in good graces with God, it’s okay to ask him for stuff – personal stuff, physical stuff, and whatever. He wants us to come to him with everything. There’s nothing too big, nothing too small, so ask away, no matter how ridiculous we think it sounds. He Provides me with Wisdom – I learn about Christ 👑 and his truths when we spend time with him and his Word. Before we can obey him we need to know what He wants us to do. Before we can understand what life is all about we need to know what He has taught. He Provides me with Encouragement – Though everyday life sometimes I get discouraged. There is no better source for inspiration 👏 than our Lord Jesus Christ. He lifts me up and reminds me it’s His plan not mine, so I must “Trust In Him” in all things. He Provides me with Pleasure/Love – Being alone with the one we love ❤ is enjoyable, and as we spend time with Christ we experience a joy unavailable anywhere else. Oh, the joy this time has given me and forever life changing.